Running Podiatrist- Tom Docanto explains, Why your ‘drop’ is important. | LEADER OF THE TRACK. 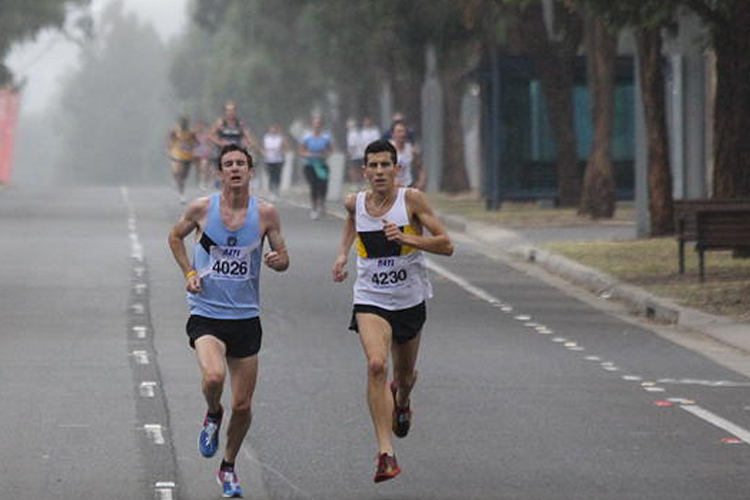 Tom Docanto is one of Australia’s best distance runners and aside from training and competition he works at the Walker Street Podiatrist in North Sydney as one of the leading podiatrists in Sydney. His running experience has enabled him to have extensive knowledge on running related injuries and rehabilitation so runners can get back on their feet and continue training and competing. Below is an article Tom wrote on the ‘drop’ for the Walker Street Podiatry Blog and it is a must read for all runners who are looking for the right support in a pair of running shoes. The ‘drop’ of a running shoe, as it’s commonly referred to, is the difference in midsole height or thickness between the heel and forefoot. I feel that at this point in time, more so than ever, running shoe companies are releasing various models that have a huge variation in drop. We have companies like Brooks and Mizuno that currently have many models with a traditional drop of 10-12mm, while other companies like New Balance and Sacouny have a lot of models with a lower drop of 4-6mm. Then we have companies like Inov8, Newton, Vibram and Altra that specialise in low drop shoes as a rule in all of their models. They use terms like ‘zero drop’ and ‘natural running’ to market their shoes. Have you heard that ‘zero drop’ is the best because it’s natural and how our bodies were designed to run? I hear this a lot from injured runners. Unfortunately, this is largely just marketing hype playing on the natural is better fallacy. Since when are all things natural better for us! We live in the year 2015, what’s ‘natural’ about anything we do or wear every single day?! I find this notion analogous to some of the pseudo-scientific dietary fads that are in abundance today like the paleo diet that also uses the naturalistic fallacy. The marketing hype surrounding ‘zero drop’ is, in my opinion, more harmful than the ‘motion control’ marketing garbage of the late 80’s and 90’s. I’m not saying zero drop or motion control are garbage per se. What I’m against is the blanket recommendations that one type is better for everyone! Some will do better in a higher drop, some in a lower drop and others in a higher drop with ‘stability’ or ‘motion control’ features. Discussion on ‘motion control’ running shoes, if they can actually control motion and if you need that ‘control’ is a LONG blog. It’s mother’s day and in the famous words of youtube bronchitis lady – ain’t nobody got time for that! Let’s stick to drop for now. Does a few millimetres here or there matter? Yes it does! Distance running is a highly repetitive activity with large ground reaction forces being absorbed at each foot strike. Changes in footwear characteristics play a huge role in the location and magnitude of accumulated load through the foot and entire lower extremity. From personal and clinical experience, I find the drop an important consideration when purchasing a running shoe. If you’re someone that has always run in a more traditional 10mm drop running shoe (whether that be a training shoe or racing flat) and have no injury concerns I would be cautious in switching to a lower drop running shoe. If you switch to a lower drop, do it gradually – find out the drop of your current model and compare it to what you are looking to purchase (a simple google search using the shoe brand and model with the word ‘drop’ can provide you the drop info if it’s not stated on the shoe). So what drop is right for you? Again, the best advice I can offer is if you have been running in a particular drop, like a standard 10mm drop, and haven’t been injured for a long time, don’t change, stick to the higher drop! The same can be said for those that are injury free in a lower drop shoe. When a running injury is present, I take a tissue stress approach when recommending a particular drop for my injured runner patients. Depending on current or previous injury history I recommend a drop that may be helpful in reducing the loads in the injured tissue or body region. As a general guide, a higher drop shoe has the potential to load the hips and knees more, while a lower drop shoe can place greater stress on the foot, ankle and lower leg. This principle is similar to that of rearfoot striking versus forefoot striking. A heel strike will load the hips and knees more, while a forefoot strike will put more stress through the foot and ankle. So for many runners, a lower drop shoe has the potential to help manage and recover from common proximal injuries such as ITB syndrome, patello-femoral (anterior knee) pain and gluteal overuse syndromes. Whereas a higher drop shoe could help those suffering plantar fasciitis, achilles tendinopathy, midfoot pain and metatarsal stress fractures. Obviously there are many ways of reducing the loads to the injured parts of your body and looking at the drop of your shoes is just one of them. A lower drop shoe may be better for knee and hip injuries while a higher drop shoe may be better for foot, Achilles tendon and calf injuries. Always check the drop of your next running shoe purchase and compare it to your previous model – small differences may be the reason you have developed a new running related ache or injury. Too big a reduction in drop (e.g. 8-10mm to a 0-2mm drop) from your current model to the next can be a recipe for foot, achilles tendon or calf overload injury. Don’t believe the hype/marketing in recent years that a ‘zero drop’ running shoe is somehow ideal for everyone because its more ‘natural’ – just because something is natural does not make it better for you. Many like to have multiple shoes on the go and use lower drop shoes for some sessions and higher drop for others (sometimes without realising) – distance running is a highly repetitive loading activity so any variation in load through something like running shoes is a great idea! ← Leader of the Track loves the Chief Bar!